1994: Overseas Travel Grant: Cultural Fund, German Embassy, Canberra. 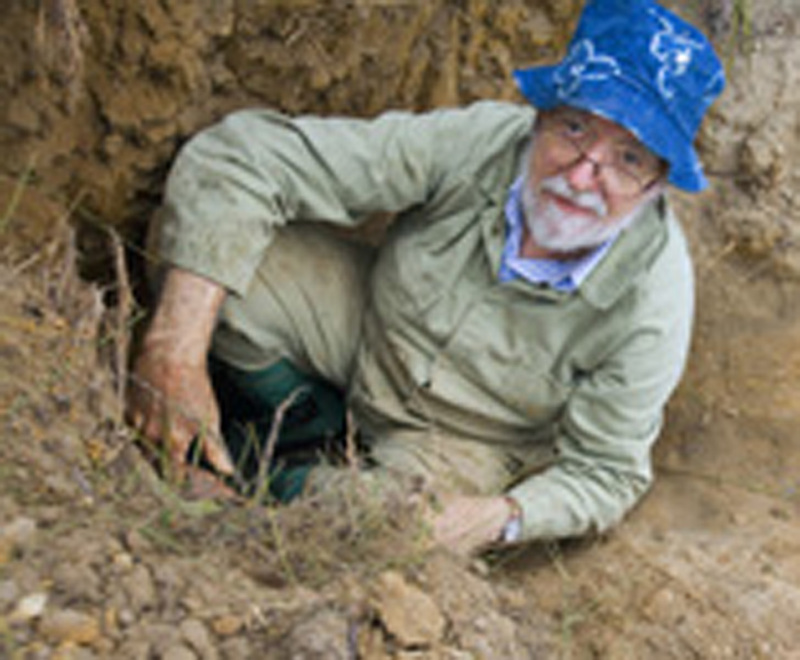 2010-current: Adjunct Professor,Research School of Biology, Australian National University. 1966-90: Research Scientist to Senior Principal Research Scientist, CSIRO Division of Entomology, Canberra. OIC Ant (Formicoidea) Unit, Australian National Insect Collection (ANIC). 1960-64: Teaching Fellow in Biology, Harvard University. 1956-60: Tutor/Senior Tutor in Zoology, University of Auckland. I have served as a member of the council of the Australian Entomological and Ecological societies, the Cambridge Entomological Club (Cambridge Mass, USA) and the Union International pour l’etude des Insectes Sociaux (Paris); and a councillor and President of The Society for Social Responsibility in Science (ACT). I was the CSIRO representative on the Council of Australian Museum Directors from 1983 to 1988. I am an Associate of the Museum of Comparative Zoology at Harvard University, Cambridge, Mass, USA. I am an Honorary Fellow of CSIRO Division of Ecosystems Science. University of Western Sydney (Richmond)(Theory and practice of taxonomy). I have served on pre-and postdoctoral student supervisory committees for Departments of Biology or Zoology at Australian National University, University of Canberra, University of Sydney, University of Adelaide and James Cook University. I have contributed lectures to teaching programs as a visitor at various overseas universities. 1960-65: Eastern United States, Colorado, Arizona, Central California, UK, France, Switzerland, Italy. Extensive work in all parts of Australia including all States, over a full range of habitats and field conditions. Key areas include eastern rain forests, Northern Australia and mallee habitats. Research on the biodiversity, taxonomy, ecology, behaviour, biogeography and biological survey of Australian ants, with special emphasis on the evolution of the continental fauna and its species diversity (speciation), often in collaboration with field ecologists and geneticists as a specialist taxonomic consultant. Publications (see below) have covered all of these fields. Related areas of research include evolutionary and speciation theory, application of modern technologies (especially computers and Scanning Electron Microscopy) in taxonomy, and the evolution of sociality in the insect order Hymenoptera, especially in ants. I provide identification services on SE Asian, Melanesian, Polynesian and Australian ants for ecologists and environmentalists – major clients include researchers at Australian Museum, Macquarie University, La Trobe University, James Cook University, various companies including Bayer and Telecom Australia, and CSIRO researchers. I am an expert macro-photographer (published work includes a cover of the journal Science, and items in Encyclopaedia Britannica, various (US and Australian) printed and CD rom biology texts, a poster on Australian pest ants etc). I have been an invited public lecturer for the National Science Centre (Questacon); Canberra, The Australian Museum Society, Sydney; and the Entomological Society of NSW. I have provided Scientific editorial and writing services for various Government departments, companies and journals. I am especially interested in editing to improve the English expression of Scientific papers written by speakers of other languages – clients have included several French and Japanese workers, the National Institute of Genetics, Japan, and the journal Insectes Sociaux. Overseas workers with whom I have conducted and published collaborative research, usually while they were long-term visitors to my laboratory, include: Prof J. Billen, Leuven University, Belgium; Prof W.L. Brown Jr, Cornell University, USA; Prof B. Holldobler, Universitaat Wurzburg, Germany; Dr H.T. Imai, National Institute of Genetics, Misima, Japan; Prof P. Jaisson, Universit‚ Paris Nord, France; Dr K. Ogata, Kyushu University, Japan; Prof P.S. Ward, University of California, Davis; Prof E.O. Wilson, Harvard University, USA, and other workers from their laboratories (See joint publications listed below). Taylor, R.W. (1958). Original material of the ant Discothyrea antarctica Emery, 1894, in New Zealand. N.Z. Ent. 2(3): 17. Taylor, R.W. (1959). The Australian ant Iridomyrmex darwinianus (Forel) recorded from New Zealand. N.Z. Ent. 2(4): 18-19. Taylor, R.W. (1959). A note on the status of the ant species Monomorium (Notomyrmex) smithii Forel (Hymenoptera: Formicidae). N.Z. Ent. 2(4): 20-21. Taylor, R.W. (1960). Taxonomic notes on the ants Ponera leae Forel and Ponera norfolkensis (Wheeler) (Hymenoptera: Formicidae). Pacif. Sci. 14: 179-180. Taylor, R.W. (1961). Notes and new records of exotic ants introduced into New Zealand. N.Z. Ent. 2(6): 28-37. Taylor, R.W. (1961). Notes on a collection of insects from the summit of Mount Ngauruhoe (7, 515 ft). Tane 8: 77-80. Taylor, R.W. (1962). New Australian dacetine ants of the genera Mesostruma Brown and Codiomyrmex Wheeler (Hymenoptera: Formicidae). Breviora 152: 1-10. Taylor, R.W. and Wilson, E.O. (1962). Ants from three remote oceanic islands. Psyche, Camb. 68(4): 137-144. Taylor, R.W. (1962). The ants of the Three Kings Islands. Rec. Auckland Inst. Mus. 5: 251-254. Wilson, E.O. and Taylor, R.W. (1964). A fossil ant colony – new evidence of social antiquity. Psyche, Camb. 71: 93-103. Taylor, R.W. (1964). Taxonomy and parataxonomy of some fossil ants (Hymenoptera: Formicidae). Psyche, Camb. 71: 134-141. Taylor, R.W. (1965). New Melanesian ants of the genera Simopone and Amblyopone (Hymenoptera: Formicidae) of zoogeographic significance. Breviora 1: 1-11. Taylor, R.W. (1965). The Australian ants of the genus Pristomyrmex, with a case of apparent character displacement. Psyche, Camb. 72: 35-54. Taylor, R.W. (1965). A new species of the ant genus Dacetinops from Sarawak. Breviora 237: 1-4. Taylor, R.W. (1965). A monographic revision of the rare tropicopolitan ant genus Probolomyrmex Mayr. (Hymenoptera: Formicidae). Trans. R. ent. Soc. Lond. 117: 345-365. Taylor, R.W. (1966). A second African species of the dacetine ant genus Codiomyrmex. Psyche, Camb. 72: 225-228. Taylor, R.W. (1966). Notes on the Indo-Australian ants of genus Simopone Forel (Hymenoptera: Formicidae). Psyche Camb. 72: 287-290. Wilson, E.O. and Taylor, R.W. (1967). An estimate of the potential evolutionary increase in species density in the Polynesian ant fauna. Evolution 21: 1-10. Taylor, R.W. (1967). A monographic revision of the ant genus Ponera Latreille (Hymenoptera: Formicidae). Pac. Insects Monogr. 13: 1-112. Wilson, E.O. and Taylor, R.W. (1967). The ants of Polynesia (Hymenoptera: Formicidae). Pac. Insects Monogr. 14: 1-109. Taylor, R.W. (1967). Entomological survey of the Cook Islands and Niue. 1. Hymenoptera: Formicidae. N.Z. Jl. Sci. 10: 1092-1095. Taylor, R.W. (1968). The Australian workerless inquiline ant, Strumigenys xenos Brown (Hymenoptera: Formicidae) recorded from New Zealand. N.Z. Ent. 4: 47-49. Taylor, R.W. (1968). Nomenclature and synonymy of the North American ants of the genera Ponera and Hypoponera (Hymenoptera: Formicidae). Ent. News 79: 63-66. Taylor, R.W. (1968). Notes on the Indo-Australian basicerotine ants (Hymenoptera: Formicidae). Aust. J. Zool. 16: 333-348. Taylor, R.W. (1968). A supplement to the revision of Australian Pristomyrmex species (Hymenoptera: Formicidae). J. Aust. ent. Soc. 7: 63-66. Taylor, R.W. (1968). A new Malayan species of the ant genus Epitritus, and a related new genus from Singapore (Hymenoptera: Formicidae). J. Aust. ent. Soc. 7: 130-134. Taylor, R.W. (1969). The identity of Dorylozelus mjobergi Forel (Hymenoptera: Formicidae). J. Aust. ent. Soc. 8: 131-133. Taylor, R.W. and Brown, W.L. (1970). Hymenoptera, Superfamily Formicoidea. In `The Insects of Australia’. Melbourne University Press, xiii + 1029pp. (pp. 951-959). Taylor, R.W. (1970). Notes on some Australian and Melanesian Basicerotine ants (Hymenoptera: Formicidae). J. Aust. ent. Soc. 9: 49-52. Taylor, R.W. and Beaton, C.D. (1970). Insect systematics and the scanning electron microscope. Search 1: 347-348. Taylor, R.W. (1970). Characterization of the Australian endemic ant genus Peronomyrmex Viehmeyer (Hymenoptera: Formicidae). J. Aust. ent. Soc. 9: 209-211. Taylor, R.W. (1971). The ants (Hymenoptera: Formicidae) of the Kermadec Islands. N.Z. Ent. 5: 81-82. Taylor, R.W. and Lowery, B.B. (1972). The New Guinean species of the ant genus Orectognathus Fr. Smith (Hymenoptera: Formicidae). J. Aust. ent. Soc. 11: 306-310. Taylor, R.W. (1973). Ants of the Australian genus Mesostruma Brown (Hymenoptera: Formicidae). J. Aust. ent. Soc. 12: 24-38. Taylor, R.W. (1974). Superfamily Formicoidea. In `The Insects of Australia, Supplement 1974′. Melbourne University Press, viii + 146 pp. (p. 111). Taylor, R.W. (1976). A Submission to the Inquiry into the Impact on the Australian Environment of the Current Woodchip Industry Programme. Aust. Senate Official Hansard Rep. (Ref. Current Woodchip Inquiry Programme), Melbourne, 12 August 1976: 3724-31. Taylor, R.W. (1976). The ants of Rennell and Bellona Islands. Nat. Hist. Rennell I., British Solomon Is. 7: 73-90. Imai, H.T., Crozier, R.H. and Taylor, R.W. (1977). Karyotype evolution in Australian ants. Chromosoma (Berl) 59: 341-393. Taylor, R.W. (1977). An apparatus for sorting small fluid-preserved biological specimens. An. Entomol. Soc. Amer. 70: 177-178. Taylor, R.W. (1977). New ants of the genus Orectognathus, with a key to the known species (Hymenoptera: Formicidae). Aust. J. Zool. 25: 581-612. Taylor, R.W. (1977). Superfamily Formicoidea. In `La Faune Terrestre de l’ile de Sainte-Helene’. Ann. mus. roy. de l’Afrique Cent. Serie IN-8, No. 215: 192-199. Taylor, R.W. (1977). Entries `Ants’ and `Argentine Ant’. In `The Australian Encyclopaedia’, 3rd edn., vol. 1., pp. 142-143. (Crolier Society of Australia, Sydney). Taylor, R.W. and Brown, W.L. (1978). Smithistruma kempfi species nov. Pilot Register of Zoology. Card No. 35. Taylor, R.W. (1978). Nothomyrmecia macrops: A Living-Fossil Ant Rediscovered. Science, 201: 979-985. Taylor, R.W. (1978). A Taxonomic Guide to the Ant Genus Orectognathus. CSIRO Aust. Div. Entomol. Rep. 3: 1-11 (with accompanying microfiche). Taylor, R.W. (1978). Melanesian Ants of the Genus Amblyopone (Hymenoptera: Formicidae). Aust. J. Zool., 26: 823-839. Taylor, R.W. (1979). Some Statistics Relevant to Australian Insect Taxonomy. CSIRO Aust. Div. Entomol. Rep. 8: 1-9. Taylor, R.W. (1979). New Australian Ants of the Genus Orectognathus, with Summary Description of the Twenty-nine known Species. Aust. J. Zool. 27: 773-88 (15 Feb. 1980). Wheeler, G.C., Wheeler, J. and Taylor, R.W. (1980). The larval and egg stages of the primitive ant Nothomyrmecia macrops Clark (Hymenoptera: Formicidae). J. Aust. ent. Soc. 19: 131-137. Burgman, M.A., Crozier, R.H. and Taylor, R.W. (1980). Comparisons of different methods of determining affinities for nine ant species of the genus Camponotus. Aust. J. Zool. 28: 151-160. Taylor, R.W. (1980). Australian and Melanesian ants of the genus Eurhopalothrix Brown and Kempf – notes and new species (Hymenoptera: Formicidae). J. Aust. ent. Soc. 19: 229-239. Taylor, R.W. (1979 ). Notes on the Russian endemic ant genus Aulacopone Arnoldi (Hymenoptera: Formicidae). Psyche, Camb. 86: 353-361 (dated December 1979, issued December 1980). Taylor, R.W. (1980). The rare Fijian ant Myrmecina (= Archaeomyrmex) cacabau (Mann) rediscovered (Hymenoptera: Formicidae). N.Z. Entomol. 7: 122-123. Ward, P.S. and Taylor, R.W. (1981). Allozyme variation, colony structure and genetic relatedness in the primitive ant Nothomyrmecia macrops Clark (Hymenoptera: Formicidae). J. Aust. ent. Soc. 20: 177-183. Hölldobler, B., Engel, H. and Taylor, R.W. (1982). A new sternal gland in ants and its function in chemical communication. Naturwissdenschaften 69: 90-91. Taylor, R.W. (1982). Taxonomy. In `Entomological Education in the 80s’ (Ed. D. Hales) (Entomological Society of New South Wales: Sydney) 8pp. 47-53. Taylor, R.W. (1983). Caucasian relict ant Aulacopone relicta Arnoldi, 1930. In IUCN Invertebrate Red Data Book, 1983, 2 pp. Taylor, R.W. (1983). Australian Nothomyrmecia ant Nothomyrmecia macrops Clark, 1934. In IUCN Invertebrate Red Data Book, 1983, pp. 507-509. Taylor, R.W. (1983). Descriptive taxonomy: past, present and future. In `Australian Systematic Entomology: a Bicentenary Perspective’. (ed. E. Highley and R.W. Taylor)(CSIRO, Division of Entomology: Canberra) pp. 93-134. Hölldobler, B. and Taylor, R.W. (1983). A behavioral study of the primitive ant Nothomyrmecia macrops Clark. Insectes Sociaux 30: 384-401. Taylor, R.W. and Brown, D.R. (1985). Hymenoptera: Formicoidea. Zoological Catalogue of Australia 2: 1-149, 306-348. Taylor, R.W. (1985). The ants of the Papuasian genus Dacetinops (Hymenoptera: Formicidae: Myrmicinae). In `Taxonomy, Phylogeny and Zoogeography of Beetles and Ants’ (Ed. G.E. Ball) (W. Junk, Dortrecht) pp. 41-67. Crozier, R.H., Pamilo, P., Taylor, R.W. and Crozier, Y.C. (1986). Evolutionary patterns in some putative Australian species in the ant genus Rhytidoponera. Aust. J. Zool. 34: 535-60. Taylor, R.W. (1986). The quadrinominal infrasubspecific names of Australian ants (Hymenoptera: Formicidae). Gen. appl. Ent. 18: 33-37. Imai, H.T., Taylor, R.W. (1986). The exceptionally low chromosome number n=2 in an Australian bulldog ant Myrmecia piliventris Smith. Ann. Rep. Nat. Inst. Genetics (Japan) 36: 59-61. Taylor, R.W. (1987). A checklist of the ants of Australia, New Caledonia and New Zealand (Hymenoptera: Formicidae). CSIRO Aust. Div. Entomol. Rep. 41: 1-92 (issued with 68A, Supplement July 1987). Imai, H.T., Taylor, R.W., Crosland, M.W.J., and Crozier, R.H. (1988). Modes of spontaneous chromosomal mutation and karyotype evolution in ants with reference to the minimum interaction hypothesis. Jpn. J. Genet. 63,: 159-185. Taylor, R.W. (1988). The nomenclature and distribution of some Australian and New Caledonian ants of the genus Leptogenys Roger (= Prionogenys Emery, N. Syn. )(Hymenoptera: Formicidae: Ponerinae). Gen. Appl. Ent. 20: 33-37. Taylor, R.W. (1989). The nomenclature and distribution of some Australian ants of the genus Polyrhachis Fr. Smith. (Hymenoptera: Formicidae: Formicinae). J. Aust. ent. Soc. 28: 23-28. Taylor, R.W. (1989). Notes on Australian bulldog ants (Myrmecia) and their biology. Proc. Sydney Allergen Group 6: 62-69. Taylor, R.W. (1990). Australasian ants of the genus Leptothorax Mayr (Hymenoptera: Formicidae: Myrmicinae). Mem. Qld. Mus. 27: 605-618. Imai, H.T. and Taylor, R.W. (1990). Chromosomal polymorphisms involving telomere fusion, centric inactivation and centromere shift in the ant Myrmecia (pilosula) n=1. Chromosoma (Berl) 98:456-460. Taylor, R.W. (1990). A key to the ant genera of Australia, New Caledonia and New Zealand. In `The Ants‘ (By Bert Hölldobler and Edward O. Wilson)(Belknap Press of Harvard University Press, Cambridge, Massachusetts). xii + 732 pp (pp. 55-60, table 2-10). Buckley, R.C., Gullan, P.J., Fletcher, M.J. and Taylor, R.W. (1990). New ant homopteran interactions from tropical Australia. Aust. ent. Mag 17:57-60. Kohout, R.J. and Taylor, R.W. (1990). Notes on Australian ants of the genus Polyrhachis Smith, with a synonymic list of the species (Hymenoptera: Formicidae: Formicinae). Mem. Qld. Mus. 28: 22-35. Brown, W.V, Jaisson, P., Taylor, R.W. and Lacey, M.J. (1990). Novel internally branched, internally unsaturated alkenes as major components of the cuticular hydrocarbons of the primitive Australian ant Nothomyrmecia macrops Clark (Hymenoptera: Formicidae). J. Chem. Ecol. 16: 2623-2635. Taylor, R.W. (1990). New Asian ants of the tribe Basicerotini, with an on-line computer-interactive key to the twenty-six known Indo-Australian species. (Hymenoptera: Formicidae: Myrmicinae). J. Invert Taxonomy 4: 397-425. Jaisson, P., Nicolosi, F., Taylor R.W. and Fresneau, D. (1990). Phylogeny of the Formicidae and the behavioural analysis of some archaic Australian ants. In `Social Insects and the Environment‘ (Ed. G.K. Veeresh, B. Mallik, and C.A. Viraktmath) Oxford, and IBH Publishing Co., New Delhi, pp. 311-312. Taylor, R.W. (1990). The nomenclature and distribution of some Australian and New Caledonian ants of the genus Meranoplus Fr. Smith. Gen. Appl. Ent. 22: 31-40. Imai, H.T., Taylor R.W., Kubota M., Ogata K. and Wada M.Y. (1991). Notes on the remarkable karyology of the primitive ant Nothomyrmecia macrops Clark, and of the related genus Myrmecia Fabricius (Hymenoptera: Formicidae). Psyche, Camb. 97: 133-140. Taylor, R.W. (1991). Notes on the ant genera Romblonella and Willowsiella, with comments on their affinities, and the first descriptions of Australian species (Hymenoptera: Formicidae: Myrmicinae). Psyche, Camb. 97: 281-298. Taylor, R.W. (1991). Nomenclature and distribution of some Australasian ants of the Myrmicinae. (Hymenoptera: Formicidae). Mem. Qld. Mus. 30 (3): 599-614. Cranston, P.S, Gullan, P.J. and Taylor, R.W. (1991). Principals and Practice of Systematics. In CSIRO (ed.) The Insects of Australia. A text book for students and research workers. 560 + 600 pp., 2 Volumes (Carlton: Melbourne University Press)(Chapter 4, Volume 1, pp. 109-124). Taylor, R.W. (1991) Formicidae. In CSIRO (ed.) The Insects of Australia. A text book for students and research workers. 560 + 600 pp., 2 Volumes (Carlton: Melbourne University Press)(Chapter 42 (part), Volume 2, pp. 980-989). Ogata, K and Taylor, R.W. (1991). Ants of the genus Myrmecia (Fabricius): a preliminary review and key to the named species. (Hymenoptera: Formicidae: Myrmeciinae). J. Nat. Hist. 25: 1623-1673. Taylor, R.W. (1992). Nomenclature and distribution of some Australian and New Guinean ants of the subfamily Formicinae. (Hymenoptera: Formicidae). J. Aust. ent. Soc. 31: 57-69. Jaisson, P., F. Nicolosi, R.W. Taylor, D. Fresneau, and A. Lenoir (1992). Distance to the nearest neighbour and workers’ specialization along the evolution of primitive ants. Proc JSPS-CNRS Seminar `Evolution of Animal Behaviour’ Inuyama, Japan, pp 5-7. Taylor, R.W. (1992). Rhoptromyrmex rawlinsoni sp.nov., a new apparently workerless parasitic ant from Anak Krakatau, Indonesia. (Hymenoptera: Formicidae: Myrmicinae). Mem. Mus. Vic., 53: 125-128. Jaisson, P., Fresneau, D., Taylor R.W. and Lenoir, A. (1992). Social organization in some primitive Australian ants. I Nothomyrmecia macrops Clark. Insectes Sociaux, 39: 425-438. Billen, J and R.W. Taylor (1993) Notes on the aberrant venom gland morphology of some Australian dolochoderine and myrmicine Ants (Hymenoptera: Formicidae) Belgian Journal of Zoology, 123: 159-163. Imai, H.T, Hirai, H., Satta, Y., Shiroishi, T., Yamada, M. and Taylor, R.W., (1992). Phase specific Ag-staining of nucleolar organizer regions (NORs) and kinetochores in the Australian ant Myrmecia croslandi. Japanese Journal of Genetics 76:437-447. Taylor R.W., Jaisson, P., Naumann, I.D. and Shattuck, S.O. (1993). Notes on the ant Myrmecia tarsata Smith (Myrmeciinae) and its chalcidoid parasite Austeucharis sp. (Eucharatinae). Sociobiology 23: 109-114. Naumann I.D., Cardale, J.C., Taylor, R.W., and Macdonald J. (1994). Type specimens of Australian Hymenoptera (Insecta) transferred from the Macleay Museum, University of Sydney to the Australian National Insect Collection, Canberra. Proceedings of the Linnean Society of New South Wales 114: 69-72. Hirai, H., Yamamoto, M-T., Ogura, K., Satta, Y. Yamada, M., Taylor, R.W. and Imai, H.T. (1994). Multiplication of 28S rDNA and NOR activity in chromosome evolution among ants of the Myrmecia pilosula species complex. Chromosoma 103: 171-178. Imai, H.T., Taylor, R.W. and Crozier, R.H. (1994). Experimental bases for the minimum interaction theory. 1 chromosomal evolution in ants of the Myrmecia (pilosula) species complex (Hymenoptera: Formicidae: Myrmeciinae). Japanese Journal of Genetics 69: 137-182. Beaton, Colin D and Taylor, Robert W. (1995). Improved specimen holders for the scanning electron microscopy of small insects and other objects. Journal of Microscopy 178: 282–285. Taylor, R.W. (1999) Nomenclatural changes in the Australian ant genus Podomyrma Fredrick Smith (Hymenoptera: Formicidae: Myrmicinae). Sociobiology 34 (1): 173-174. Japanese Ant Database Group (11 Japanese authors and R.W. Taylor [listed eighth]) Ants of Japan. Tokyo, Gakken Press, 194 pp (Japanese Language Edition, Book and CD). Japanese Ant Database Group (11 Japanese authors and R.W. Taylor (listed eighth)) Ants of Japan. Tokyo, Gakken Press, 224 pp (English Language Edition, Book and CD). Taylor, R.W. (2006) Ants of the genus Meranoplus F. Smith, 1853 (Hymenoptera: Formicidae): Three new species and others from northeastern Australian rainforests Myrmecologische Nachrichten 8: 21 – 29, Stefan-Schödl-Gedenkband / Stefan Schödl Memorial Volume. Taylor, R.W. (2007) Bloody Funny Wasps – Speculations on the evolution of Eusociality in Ants.in Advances in ant sysyematics (Hymenoptera: Formicidae) homage to E.O. Wilson – 50 years of contributions (R.R. Snelling, B.L. Fisher and P.S. Ward (eds). Memoirs of the American Entomological Institute 80: 580-609. Inagaki, H,. Akagi, M, Imai, H.T., Taylor, R.W., Wiese M.D., Davies N.W. and Kubo T. (2008) Pilosulin 5, a novel histamine-releasing peptide of the Australian ant Myrmecia pilosula (Jack Jumper Ant). Archives of Biochemistry and Biophysics 477: 11-416. Taylor, R.W. (2009) Ants of the genus Lordomyrma Emery (1) Generic synonymy, composition and distribution, with notes on Ancyridris Wheeler and Cyphoidris Weber (Hymenoptera: Formicidae: Myrmicinae) Zootaxa 1979: 16–28. Taylor, R.W. (2011). Australasian ants of the subfamily Heteroponerinae (Hymenoptera: Formicidae): (1) General introduction and review of the Heteroponera leae (Wheeler) species-group, with descriptions of two new species. Myrmecological News 15: 117-123. Brown, S. G. A., van Eeden, P, Wiese,M. D., Mullins,R. J., Solley, G. O., Puy, R., Bleasel, K., Taylor, R.W., Heddle, R. J. (2011) Ant sting anaphylaxis in Australia – The Australian Ant Venom Allergy Study. Medical Journal of Australia 195(2): 69-73. (July 18, 2011). Taylor, R.W. (2012). Ants of the genus Lordomyrma Emery (2) The Japanese L. azumai (Santschi) and six new species from India, Viet Nam or the Philippines (Hymenoptera: Formicidae: Myrmicinae) Zootaxa 3282: 45–60. Reid SF, Narendra A, Taylor RW & Zeil J. 2013. Foraging ecology of the night-active bull ant, Myrmecia pyriformis. Australian Journal of Zoology 61: 170-177. Taylor RW. 2014. Evidence for the absence of worker behavioral subcastes in the sociobiologically primitive Australian ant Nothomyrmecia macrops Clark (Hymenoptera: Formicidae: Myrmeciinae). Psyche 232057. doi: http://dx.doi.org/10.1155/2014/232057.